Every semester UVU PRSSA students have the opportunity to travel the nation and meet with the "best of the best" in the PR industry. Student's have traveled to places including Chicago, Boston, Los Angeles, Anaheim, San Francisco, New York, Philadelphia, Atlanta, Washington D.C., Austin, Phoenix, and Indianapolis! This Fall Semester, UVU PR students will have the opportunity to travel to Austin, TX–home to the 2018 International PRSSA Conference. The trip will take place October 4-10, 2018. You are invited to apply for one of approximately 16 spots (8 men, 8 women). UVU student grants have been provided to drastically reduce the expense for UVU PR students. As a result, it will only cost you $650 for this once in a lifetime opportunity. At the conference, industry luminaries will share their expertise and teach the latest PR techniques being used in the industry. Conference presentations will include information about corporate and agency PR, as well as PR in travel and tourism, fashion, social media, sports and many other exciting areas. Students will also network and interview for job and internship opportunities available throughout the nation. During the trip, world-renowned PR professionals will share their expertise and teach the latest PR techniques being used in the industry. In addition to learning from PR experts, you will build your resume, make career connections, and earn 3 credit hours (selected students will enroll in the Comm 202 Communication Field Experience course). The application deadline is Wednesday, February 28 at 12:00 noon. Go for it—Apply for the Austin PR trip today! Please note: The deadline to register for our Fall 2018 trip is Wednesday, February 28, 2018 at 12:00 pm. 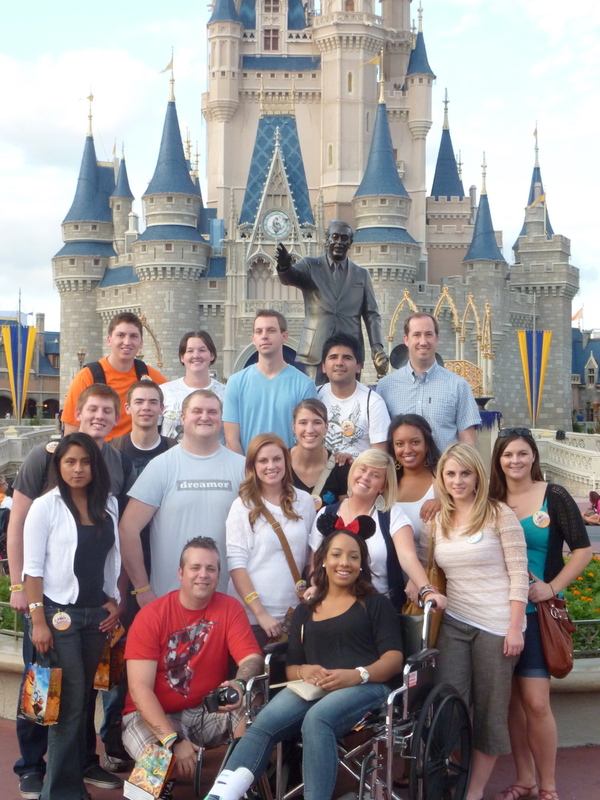 Students are selected through an application and interview process approximately 6 months prior to each trip. Students must submit the following items to the Comm Department (CB 502A) by noon, Wedesnday, Feb. 28. Cover letter--include future career goals, year in school, anticipated graduation date, and why you should be selected, and a photo of yourself; Resume; Official UVU transcript; Writing sample. Finalists will be contacted for interviews. A committee of faculty and staff from the Communication Department will review, interview, select and notify the approximate 8 men and 8 women by March 9. Interviews will be conducted March 6. To apply you must be a UVU Student, PR Major, PRSSA member, and have taken or currently taking Comm 2300 during the time of the trip. Due to generous grants, the expense for each student is minimal. For example, students only paid $550 to go to New York City for a week. For the Fall 2018 trip, the cost will only be $650, and this price covers: airfare, transportation, hotel, conference registration, and your Universal Studios ticket. Students who participate must enroll in the 3-credit Comm 202R – Communication Field Experience. If selected, a $250 non-refudable deposit will be due May 1, 2018, a $200 non-refundable deposit will be due June 1, 2018, and a $200 non-refundable deposit will be due July 1, 2018. This video was created during PRSSA's trip to Los Angeles, California. Linda Shipley Martin, Partner at Porter Noveli Public Relations firm in L.A.
PR Director for the Boston Red Sox. Meeting held in the executive boardroom of Fenway Park. Follow UVU PRSSA's Facebook, Twitter and Instagram feeds to learn about upcoming student trips.